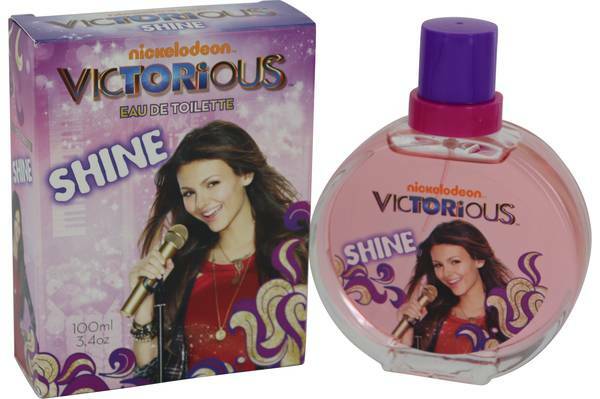 Victorious Shine Perfume by Marmol & Son, Victorious Shine is a light and refreshing perfume that has been released in association with the Nickelodeon television show. It has a wonderful range of notes that make it appealing to all young women and ideal for wearing every day. The scent will immediately captivate your senses with top notes that include peach blossom and fresh greens. The middle notes are warm and floral with star jasmine, oak moss and muguet petals. The base notes add a depth Read More Read More and consist of warm musk, amber and sandalwood. Like most of the other fragrances by this brand the box and bottle depict the main character from the show. 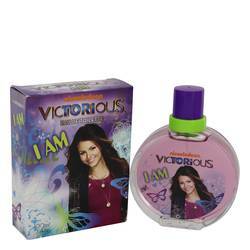 The picture for this perfume displays Tori Vega in bright colors, singing into a microphone. Marmol & Son was founded in the USA, in 1996. It sells fragrances for people of all ages, starting with pre-school, mainly representing well-known characters from television, film and comic books. All products are original, authentic name brands. We do not sell knockoffs or imitations.